How do I delete/archive a class? You can delete old classes and remove them from your Teacher Page. 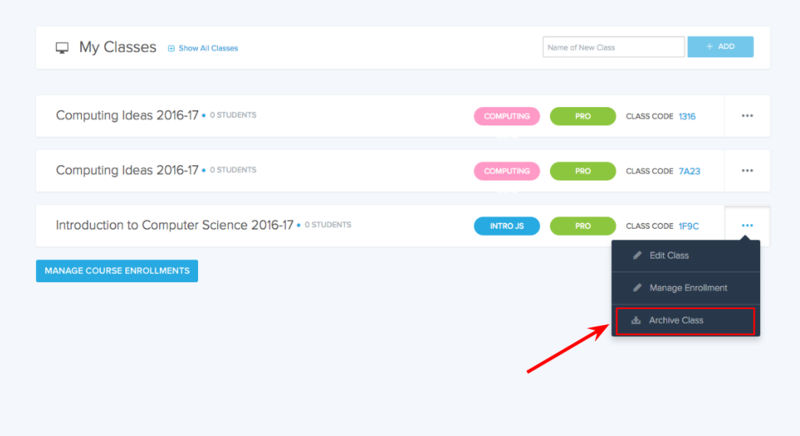 To do this, access your Teacher Page, find the class that you want to delete, click the three ... button next to the class, and click Archive Class. This will remove the class from your active classes list, but you will still have access to the course as a teacher if needed.